Entering service in 1992, the Char Leclerc is the main battle tank (MBT) for France. Built by GIAT (now Nexter Systems), the Leclerc is considered one of the top five MBTs currently in use. Named for General Philippe J. Leclerc, who led the Free French 2nd Armored Division as they fought their way to Paris in 1944, the Leclerc is considerably smaller than most MBTs. Extremely compact, the Leclerc has excellent power-to-weight ratio and impressive acceleration. The compact nature of the Leclerc combined with an autoloader enables the tank to be crewed by only three people. Like many modern MBTs, the Leclerc is armed with a 120mm smoothbore cannon along with 12.7mm and 7.62mm machine guns. Equipped with an HL-70 stabilized panoramic sight, the Leclerc can fire twelve rounds a minute with 95% accuracy while moving cross-country at 50 km/h (31 mph). As recently as 2006, the Leclerc was outfitted with the AZUR urban kit, adding additional layers of armor and a remotely-controlled 7.62mm machine gun. 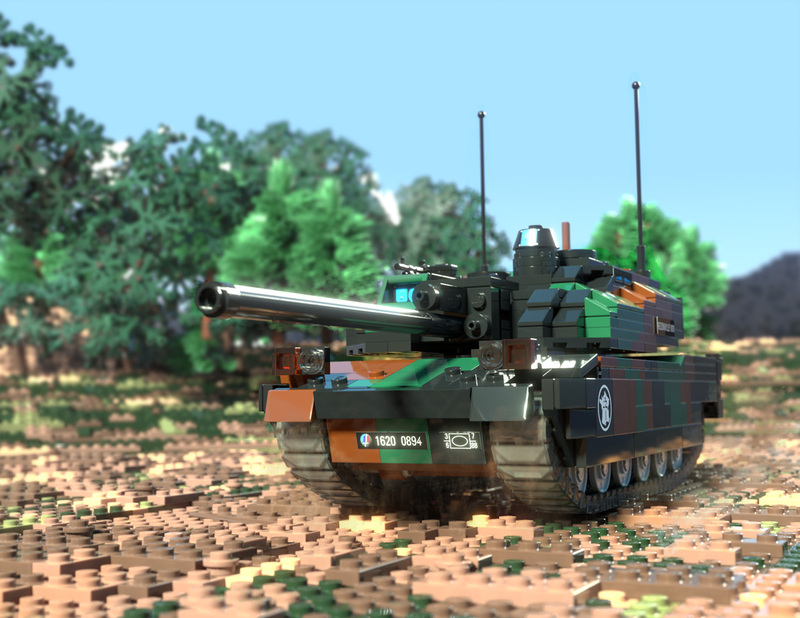 The Brickmania Leclerc features several of the components on the real tank: opening hatches, rotating turret, elevating/depressing main gun, and working tracks. It also includes a BrickArms M240B MG and ammo box, BrickForge glassware, custom-printed insignia element, and a high-quality sticker sheet.